Sir James Alfred Ewing (1855-1935) was a Scottish engineer, physicist and cryptographer. 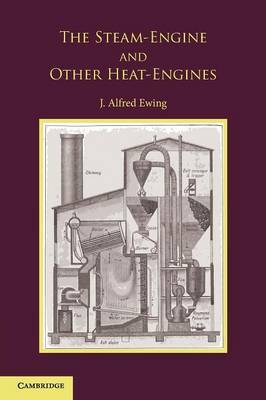 First published in 1926, as the fourth edition of an 1894 original, this book was written by Ewing 'to present the subject of heat-engines, in their mechanical as well as their thermodynamical aspects, with sufficient fulness for the ordinary needs of University students of engineering'. The text was extensively revised for this edition, taking into account developments in relation to steam turbines, steam boilers and internal combustion engines. Numerous illustrative figures are also provided. This book will be of value to anyone with an interest in Ewing's writings, steam engines and the history of engineering.